Lutein is an antioxidant that protects eyes from excessive computer and phone use. It also increases skin hydration and elasticity as well as protects against harmful UV rays and certain eye diseases. However, lutein is not produced by the body, meaning it must be consumed through food or supplements. Consuming lutein provides a natural barrier for the eyes from blue light exposure given off by computers and phones. It is not only the eyes that can be negatively affected. Excessive exposure to blue light can also have negative impacts on overall health. A Harvard study compared the effect of 6.5 hours of blue light exposure versus green light. Surprisingly, blue light suppressed the release of melatonin, a hormone produced by the body to regulate sleep, almost twice as long as green light. In addition, blue light exposure delayed natural sleep rhythms twice as long. Lack of sleep has been linked by to an increased risk of depression, as well as diabetes and cardiovascular problems. 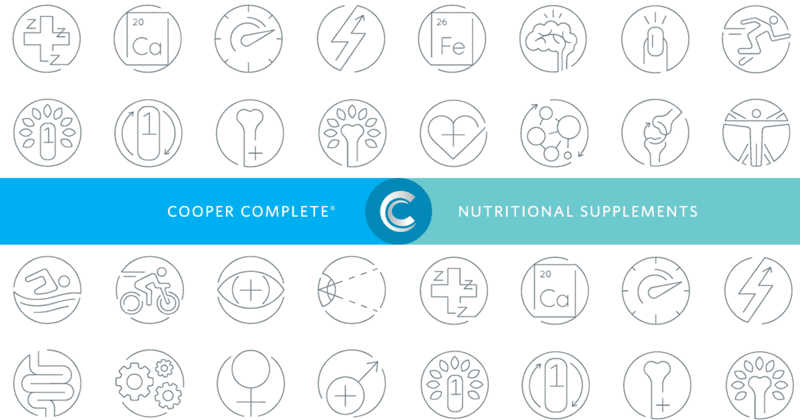 Cooper Complete Eye Health and Original Multivitamin supplements both contain lutein to help protect eye health. In addition to promoting healthy vision and sleep habits, lutein also can protect the skin from harmful UV rays. A recent double-blind placebo-controlled study published in the British Journal of Dermatology tested lutein and lycopene supplementation. Specifically, it measured the supplements abilities to reduce UV damage in the skin. Researchers studied skin biopsies for signs of UV damage. When comparing these groups to the placebo groups, the lutein and lycopene groups both showed significantly less UV damage at the end of the study. Lutein can also provide other benefits for the skin. A double-blind and placebo-controlled trial published by the Clinical, Cosmetic and Investigational Dermatology measured the impact of lutein and zeaxanthin in protecting skin tone over time. Elastic recovery was another measure for the study. Overall, participants who took a lutein supplement showed a lighter and less damaged skin score. The study also showed that the group taking the supplements had a higher level of skin elasticity. These studies show several benefits of ingesting lutein when exposed to harmful UV rays. This is is why Cooper Complete Dermatologic Health and Original Multivitamin contain lutein, zeaxanthin and lycopene to help protect your skin on a daily basis. In addition to a healthy diet, supplements can be a good way to get lutein on a daily basis. Lutein’s natural antioxidant benefits are available in Cooper Complete Original Iron Free and Original With Iron, Dermatologic Health and Eye Health.